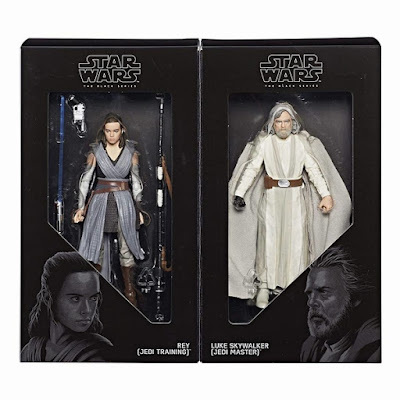 Check out this previously unannounced Star Wars: The Last Jedi Luke Skywalker (Jedi Master) and Rey (Jedi Training) The Black Series 6” Action Figure Box Set being sold exclusively at San Diego Comic-Con 2017 at the Hasbro booth! This is the first opportunity for Star Wars fans to purchase official The Last Jedi toys. Interestingly enough, Hasbro made the very first Rogue One toy available at SDCC last year, when they released the previously unannounced Jyn Erso Black Series 6” action figure. Something tells me this Luke/Rey box set is going to be heavily sought after on the secondary market.